I’m sure you have heard of the 4 P’s of Marketing or Business but I wanted to spin it for helping professionals and more specifically supervision. The 4 P’s of Marketing, also known as marketing mix, a foundational model in marketing, include: product, price, place and promotion. In order to be more application to what we do as helping professionals, I have selected 4 new words. The counseling profession and therapy can be very ambiguous and existential but sometimes life requires us to be more structured and calculated. To create more direction and intentionality in supervision, use the 4 P’s of Supervision. 1. Passion - strong and barely controllable emotion. Initially I wasn’t going to include passion in this article, but then I realized you wouldn’t have gotten this far without your passion. For many of us, our passion has lead us to our life’s purpose. Balancing graduate school, internship, family, friends and life In general is very rigorous and without genuine passion you may not have made it to this point. Passion is what lead you to graduate school. Your passion is what motivated you while completing your internship when you thought you were going to get enough client contact house. Passion is what catapulted you into a new position because the other one isn’t the right fit. Passion is what motivates you to secure multiple streams of income because just one job in our field may be difficult at times. Never lose sight of your passion, and when you are having a difficult day or moment let it be your constant reminder of why you do what you do. 2. Plan/Preparation – the action or process of making ready or being made ready for use or consideration. Preparation is Key! Planning will also help you to see changes that will need to be made regarding your clinical skills. 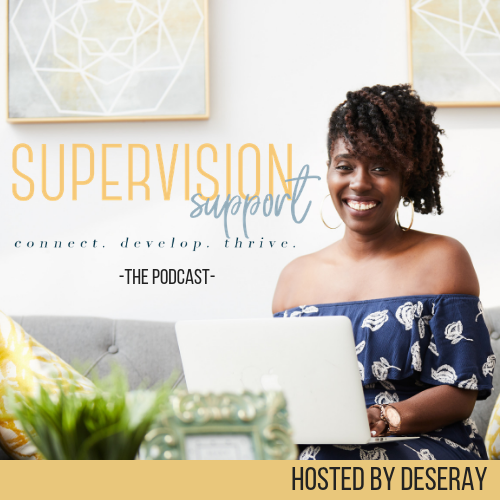 I recommend coming to supervision, as a supervisee and supervisor, with a plan. Supervision is supposed to be an intentional meeting to help with a clinician’s development. Plan and prepare for your future, post licensure and beyond. Determine what new areas of the profession you would like to explore and plan how you will do so. Remember you passion and plan so that you can execute it. 3. Practice – repeated exercise in or performance of an activity or skill so as to acquire or maintain proficiency in it. All the preparation and all the planning in the world will not help your clinical skills unless you actually put into practice what you have learned and prepared for. Better to take action and get stuck than to stay stuck and never move forward. If you have done your planning and preparation you will find fewer unexpected circumstances and needs. Remember your internship during graduate school and your site director/supervisor gave you your first independent task? This may have been completing a psychosocial, following up with a client regarding a missed session, running a group in a psychiatric hospital or something else but you may remember feeling like you didn’t know what you were doing. After the group was over, you realized that it wasn’t so bad and you know more than you thought you did. Without the application or skills or practice, you will never know what you are capable of. You may have heard the phrase, “Practice makes perfect” but in counseling and other helping professional perfection is not the goal. We are striving for competency, proficiency and authenticity so that we will be able to support those that need our help in the most ethical and beneficial way. 4. Performance - the action or process of carrying out or accomplishing an action, task, or function. This is your opportunity to “show them what you got”. SHINE!! All of your years of training and life experience get to be displayed and shared with others. An authentic performance is preferred, you want to avoid acting and focus on being the great counselor that you are. Another significant part of performance, is personal presentation. The manner in which you conduct yourself and present yourself to the world, your clients and your peers, will make a huge difference. Remain professional and authentic at all times. We are ethically bound by a code of ethics and it goes beyond the office. In the digital/social media age that we live in, the likelihood of someone seeing you outside of your work environment is extremely high. Be sure to maintain a professional presentation and respectful demeanor at all times. I am not saying be work ready at all times, but conduct yourself accordingly. The 4 P’s of Supervision can be applied to multiple areas of your career and life to create more direction, structure and intentionality. The next time you find yourself feeling lost or confused, remember your 4 P’s: passion, plan, practice and perform.